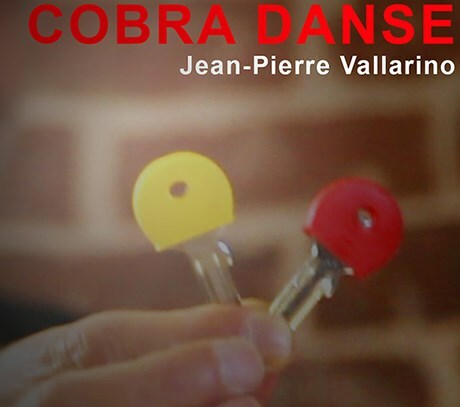 Cobra Danse is a wonderfully magical creation from Jean-Pierre Vallerino using everyday objects that is sure to leave your spectators scratching their heads! The effect is as follows. The magician shows two keys with different colour covers. A shoelace is threaded through the holes of both, and both keys can clearly be seen hanging from the shoelace. The spectator then chooses a colour, and the magician closes their hand around both keys, handing the ends of the shoelace to the spectator. When the magician opens their hand, only one key remains and the selected key has vanished completely. The best part is that everything can be examined from beginning to end. Cobra Danse is an incredibly visual routine that is easy to do and leaves your audience in awe. We're sure you'll love Cobra Danse and as with all Jean-Pierre Vallerino's work, everything is well thought out and solid, workable material. With your purchase you get everything you need to perform, including 2 keys, 2 coloured caps, a shoelace, the gimmick and downloadable instructions.